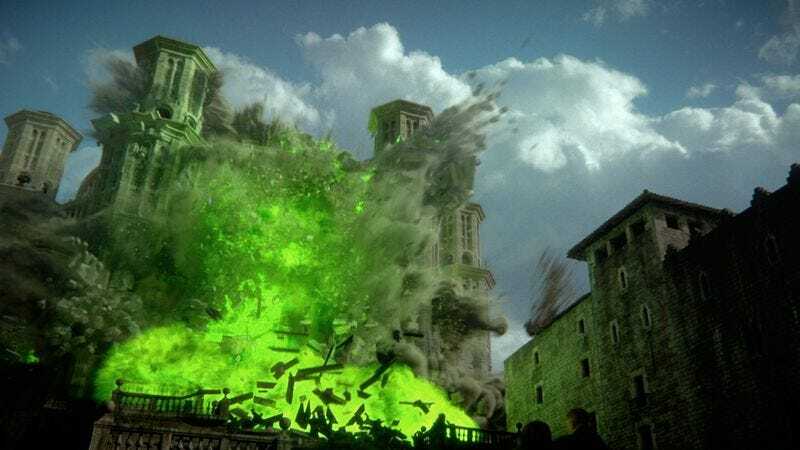 It turns out “valar morghulis” applies to TV shows, too, with HBO programming president Casey Bloys confirming that the network’s blockbuster fantasy epic Game Of Thrones will be ending after its still far-off eighth season. Showrunners David Benioff and D.B. Weiss have been saying season eight was their chosen end point for the series for a while now, but this is the first time the network has acknowledged the writing on the grimy, blood-stained wall. “Yes, they have a very specific plan about the number of seasons they want to do,” Bloys told reporters at HBO’s Television Critics Association press tour event today. “I would take 10 more seasons,” he added, raging against harsh reality like a true, god-forsaken citizen of Westeros. “But we take their lead on what they think they can do the best version of the show.” That being said, Bloys wasn’t able to confirm that the show’s final seasons would be truncated, as previously reported, merely saying that the episode orders have yet to be formally set. He also didn’t comment on the Game Of Thrones movie rumors that people—usually George R.R. Martin, who has to put his talent for crafting stories somewhere, apparently—are always floating around and/or vigorously denying. But he did address the possibility of spin-offs for the long-running show. “We’ve talked about it,” he said. “It’s something I’m not opposed to, but of course it has to make sense creatively.” He added that, while Benioff and Weiss are pretty busy now, prepping for the delayed season 7, they aren’t necessarily against the idea. We have no idea what a GoT spinoff would look like—maybe a prequel, set in Martin’s Tales Of Dunk And Egg?—but if we don’t get Dire Wolf Puppies (or at least an appearance by badass tyke Lady Mormont on Sesame Street), we’re going to launch a bloody, self-serving revolt of our own.